Fill out the form on this page to get instant access to our latest e-book and start mentoring within your organization. What you offer your employees for career development is a important business decision since it can impact your employee retention and engagement rates, skill development and shape your leadership team. 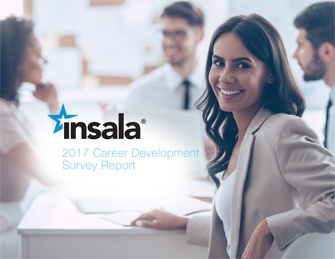 Insala has continued to conduct regular surveys to gauge the effectiveness of employee career development offerings and to monitor any trends to help you make decisions in employee career development. Our most recent survey was sent out in Q4 of 2016, that was completed mainly by HR decision makers in employee career development. From gathering this recent survey data, we have created this report is to help you make better strategic decisions to focus your L&D budget and provide better career development offerings to your employees.